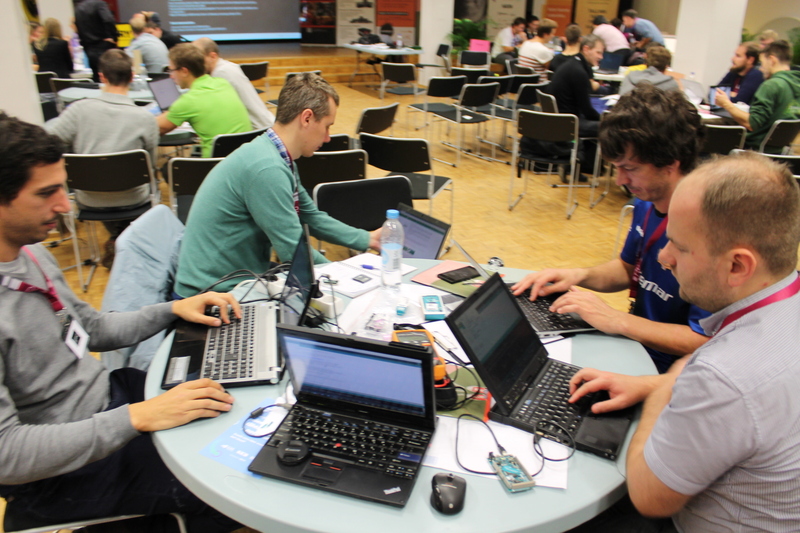 Went to hardware hackaton Tehnohack this weekend. 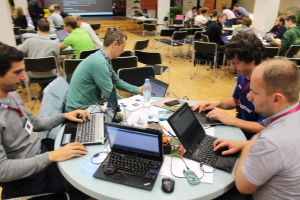 It's a hardware oriented hackaton that local hackerspace Skeemipesa organises. Different from hackatons I have been before this was pleasantly not business oriented, I would say less than 10% of people there weren't engineers. Most projects had some kind of business case behind it, but no big work was done on this end. I was in team called Players-tracking. We designed a device that would track football players in real time on the field. It uses radio wave time-of-flight measurement to measure distance between radio modules. 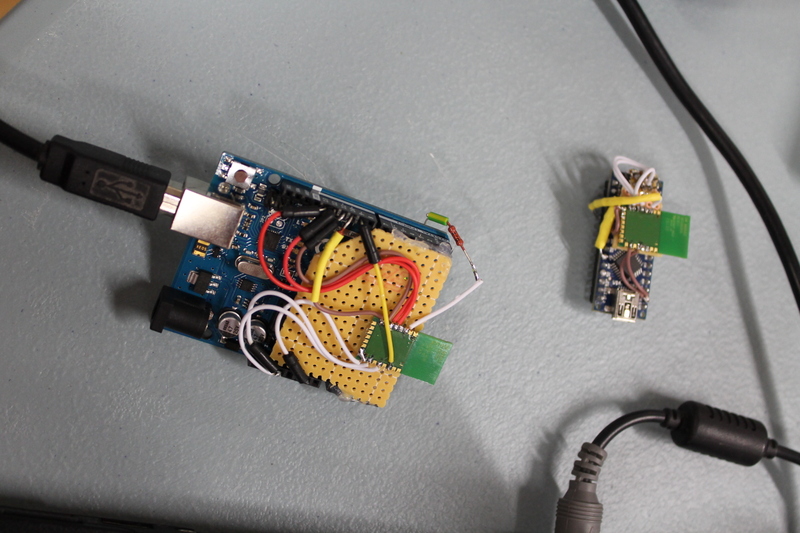 For prototype we used Arduinos and DWM1000 radio modules. Can you do multi player tracking with this setup. Yes, you can track really many objects, I thing the limit is more than 10 000 objects tracked.